Considering that the oceans hold more garbage than fish by now, this might be the right time to retrain our fishermen and let them hunt for litter. Several companies offer equipment to fish garbage out of rivers, lakes and harbours. They say they could build larger dustcarts for seas and oceans, too. Send the bill to the disposables industry - and let the cleanup begin. 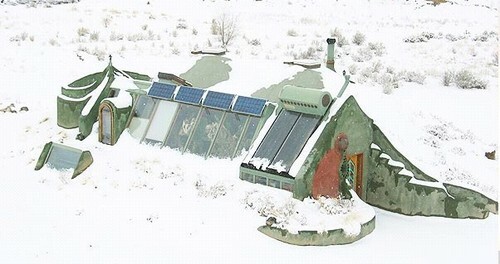 Energy hungry America teaches the world how to build ecological houses.